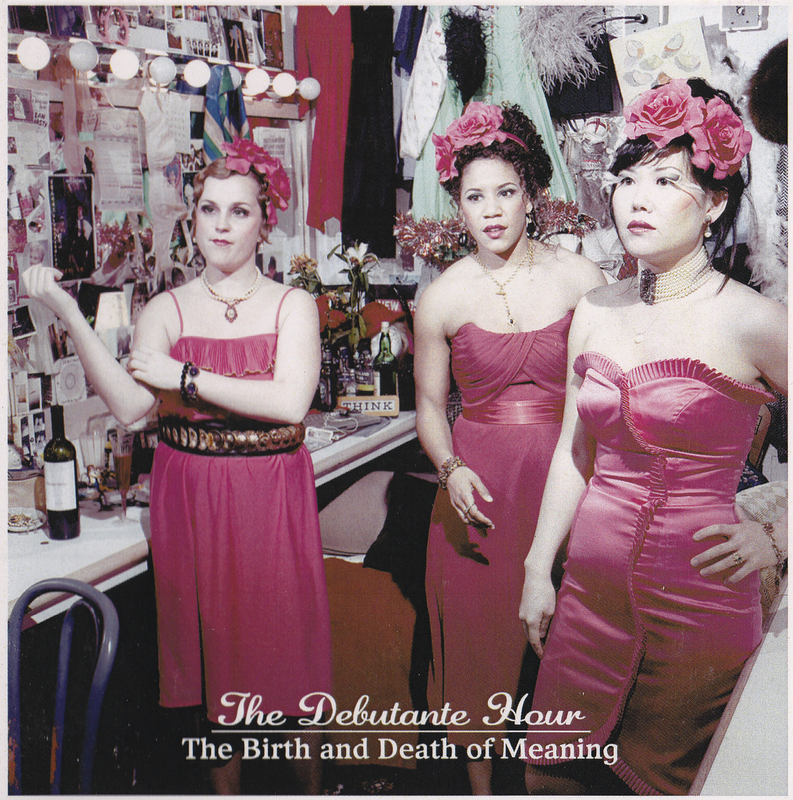 In the winter of 2007, after putting our earlier bands to sleep, Susan Hwang and I played some impromptu shows as an accordion duo and called it The Debutante Hour. For our European tour in 2009, we were joined by our friend Mia Pixley–a great singer, cellist and talented songwriter–who was living in London at the time (and who was also one of the founding members of my earlier band, Baby Pool). We released our first full-length, The Birth and Death of Meaning, in 2010. The next year, we recorded “Follow Me,” a six song EP of covers. Both were produced by the mighty Franz Nicolay. Our brilliant art director on both albums (and most posters, flyers, website) was Thomas Bayne. In 2012, we released our second full-length, An Awkward Time, produced by the amazing Peter Hess (of Balkan Beat Box, etc.). You can consume all of this on our bandcamp page. 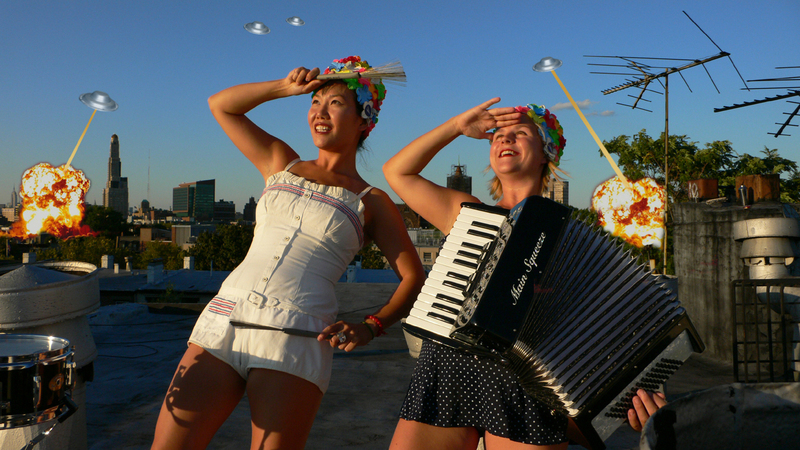 Some people have said nice things about us, including the MTV Iggy Blog, The New Yorker, Lucid Culture, and they put our photo in the NY Times. 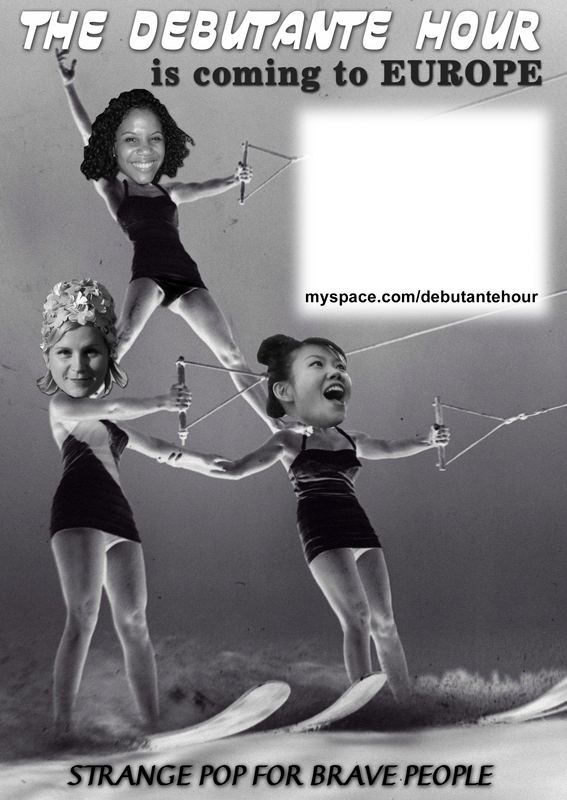 The Deli Magazine once named us band of the month, but that may have been because we had the best ballot-stuffers.